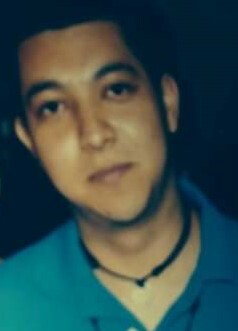 Miguel Angel Orendain Hernandez, 36, of Walworth, WI passed away on Sunday, April 14, 2019. He was born October 22, 1982, in Mexico City, Mexico to Miguel and Irma (Hernandez Esquivel) Orendain Sanchez. Miguel was the owner/operator of Woodstock Auto Services. He took a lot of pride in his work as well as helping others. He enjoyed watching and playing soccer. On June 27, 2009, he married Pamela Swaney in Woodstock, IL. Survivors include his wife Pamela; children Miguel, Diego, Luis, Anastasia, and Cesar; stepchildren Justine and Kaya; parents Miguel and Irma, brothers Alejandro and Emanuel; other survivors include several nieces, nephews, aunts, uncles, and maternal grandparents. Visitation will be 3-7 PM Friday, April 26, 2019, at Saunders & McFarlin Funeral Home, 107 W. Sumner St. Harvard, IL 60033. A Mass of Christian Burial will be 12:00 PM Noon Saturday, April 27, 2019, at St. Joseph Catholic Church, 206 E. Front St. Harvard, IL 60033. Interment will be in St. Joseph Catholic Cemetery, Harvard, IL. There's still time to send flowers to the Visitation at the Saunders & McFarlin Funeral Home from 3:00 PM to 7:00 PM on April 26, 2019.